We hope everyone had a lovely holiday! Keep the fun going by checking out a show this weekend! 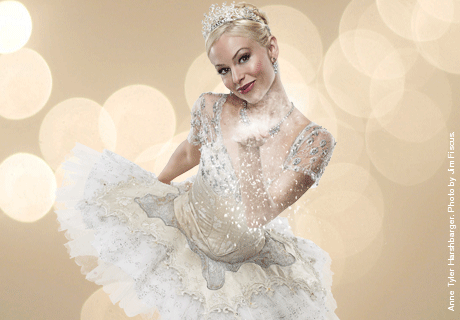 The holiday season begins with the return of Atlanta Ballet’s Nutcracker to The Fox Theatre. It is a fun-filled, magical adventure that continues to thrill audiences. Bring the whole family for an enchanting and memorable evening that keeps the spirit of the holiday season alive! This is the last weekend to catch it at The Fox this year! Tickets are $25 – $131. Showtime is at 7pm. Birthday bashes have always been a challenge for Atlanta’s own singer/songwriter, Sarah Peacock, who was born on Christmas Day! But, this year we’re gonna do it right. And, what a year worthy of celebration! If you love the music, we love you! Birthday cake is first come first serve, and absolutely everyone is welcome! Tickets are $12 in advance, $15 at the door. Doors open at 6:30pm. Tickets are $7 – $25. Game is at 6pm. Local D.C. comics perform live at The State Theatre! Tickets are $5. Doors open at 8pm. Join 4 young musicians on the rise that all come from different parts of Georgia. Tickets are $20 in advance, $26 at the door. Show is at 8pm.